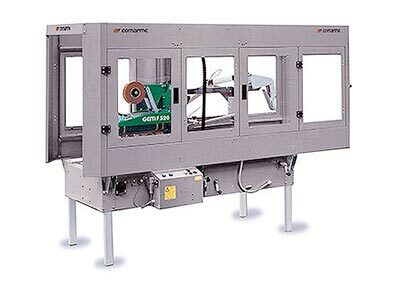 Fully-Automatic carton taping machine automatically folds the 4 upper flaps and seals with adhesive tape the upper and lower parts of carton boxes. 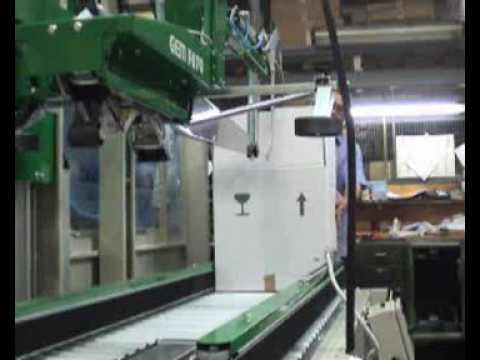 Adjustment for different carton sizes is easy and fast by means of hand-wheels. The boxes are fed by lateral motorized conveyor belts, ensuring perfect alignment of upper and lower flaps which guarantees perfect sealing.